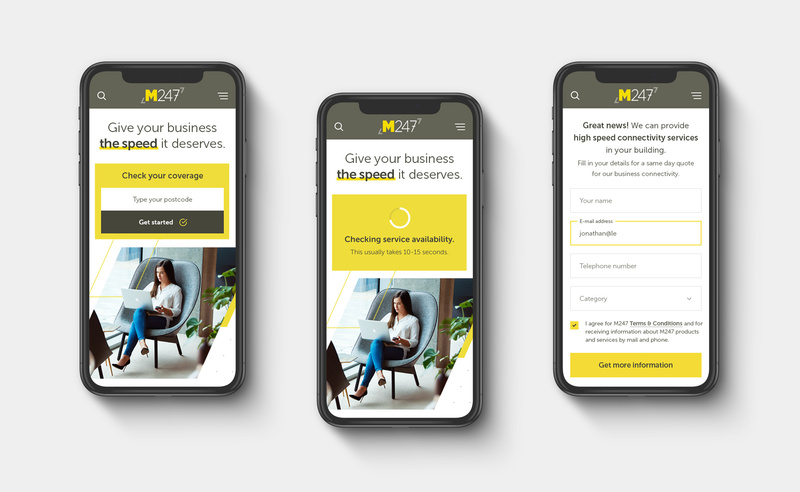 M247 is the leading connectivity-led cloud services partner, a unique combination of services and products to enable businesses to scale and transform with technology. 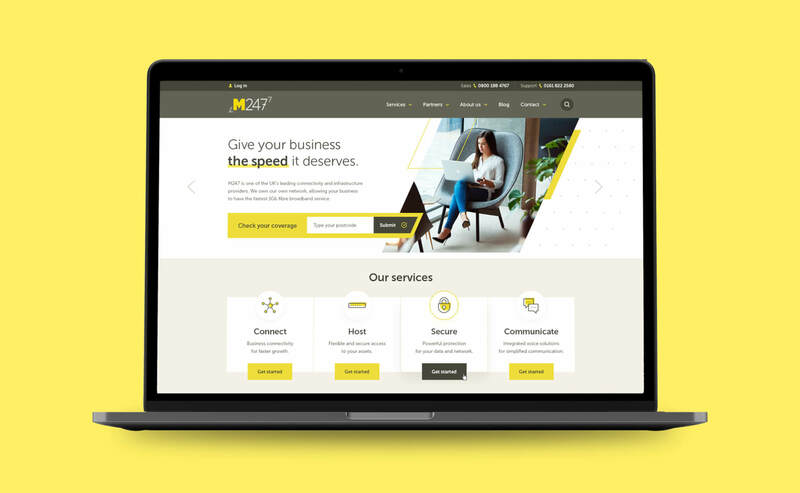 M247 approached us as their current site had been ‘added to’ following a number of business acquisitions, so what was purely a Wireless Internet provider site has now grown to include all of their additional services. 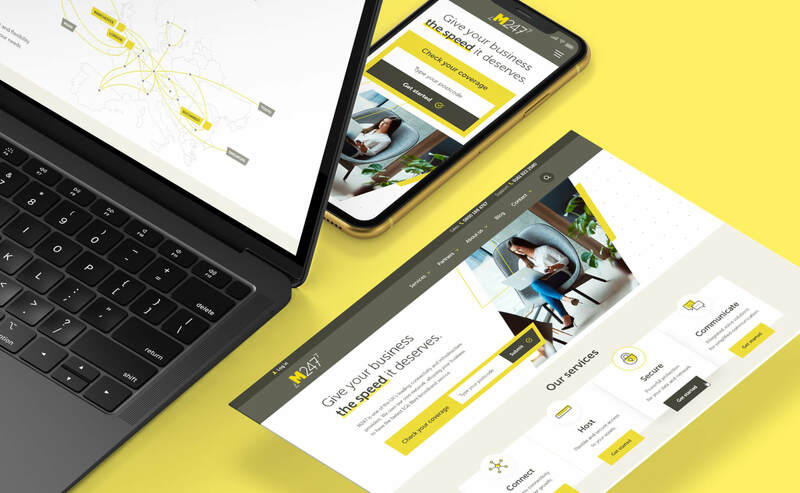 Desktop and mobile designs of a landing page template, conversion focused and kept inline with current branding. Full UX and UI of the main M247 website. 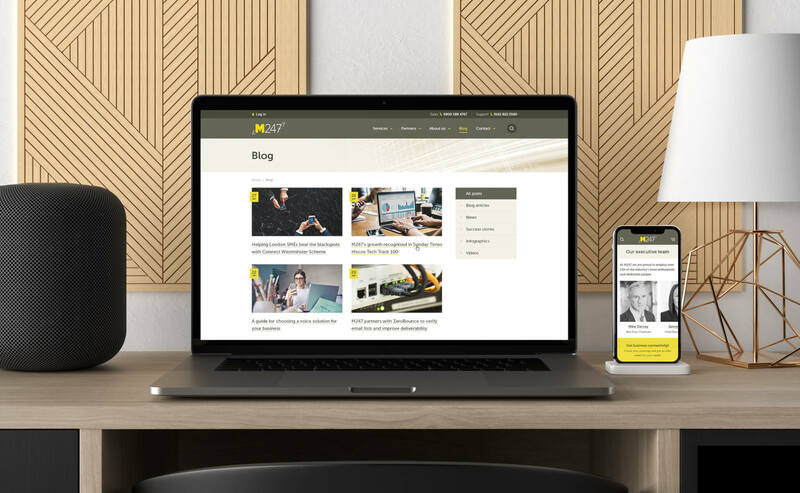 Including desktop and mobile designs of all core pages, including: Home, About, Team, Resources and Blog.